This area gives ideal conditions for cycleturistik. 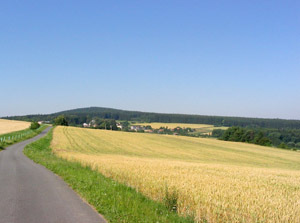 There are cca 100 km marked rout in microregion Stražiště. This rout mostly have asphalt surface on the roads 3rd class. Rout are acceptable for every type of cycle. The most important in region are the rout number 161, 321 and then 1217, 1218, 1219.